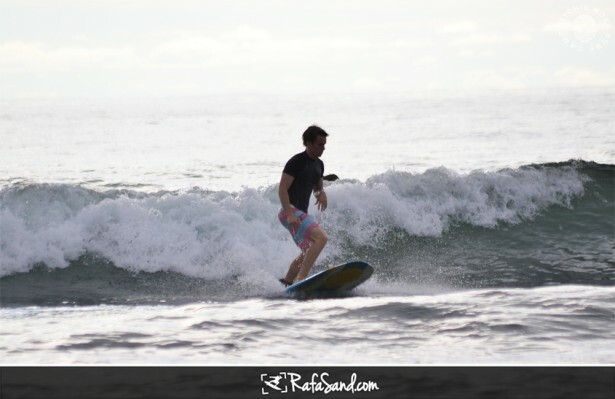 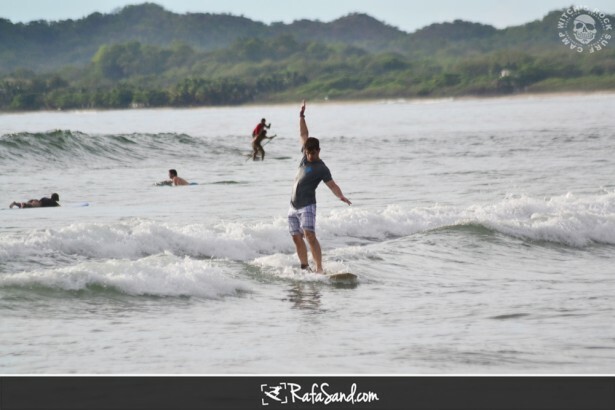 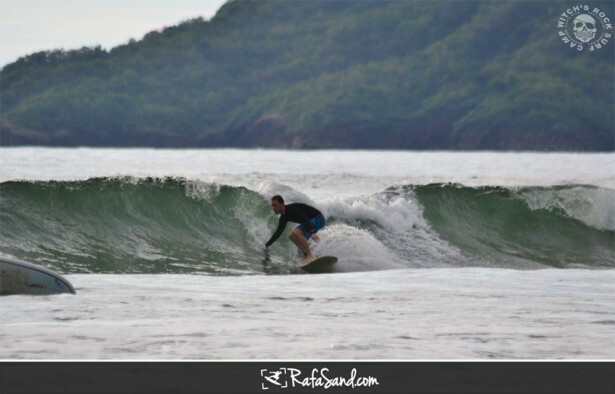 With the swell going down Tamarindo today was small but fun to bring a long board and having good time on the water with friends. 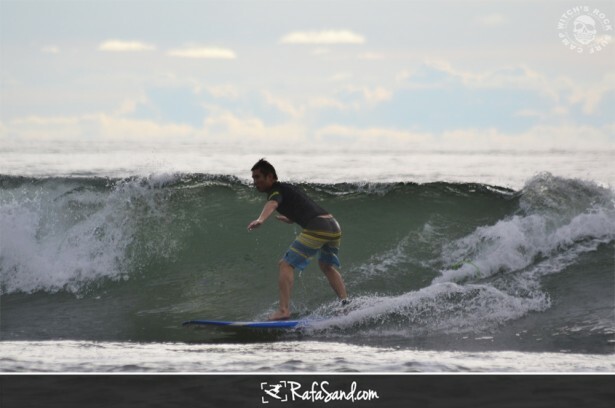 The conditions was a soft onshore, cloudy and hot day. 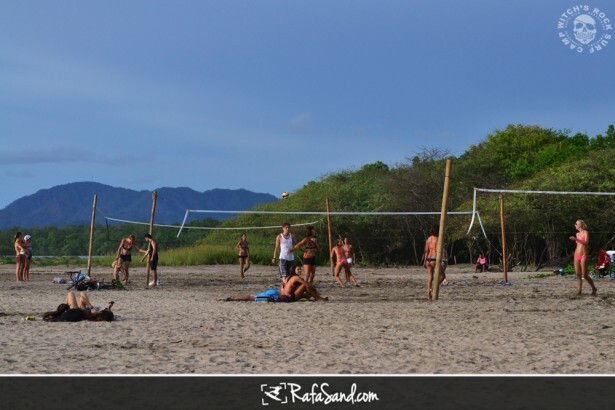 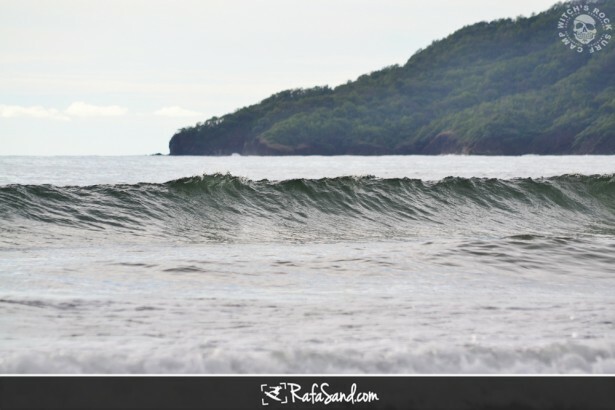 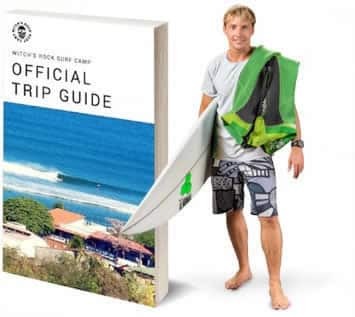 The sizes was chest to shoulder high waves on the set and the main break be the best spot to surf in Tamarindo.